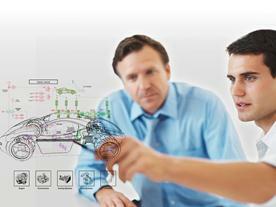 LMS Imagine.Lab is the ideal solution to drive virtual, intelligent system design throughout the design cycle. Our mechatronic simulation software offers all of the necessary modeling and analysis tools and structured and collaborative methods to run the most complex multi-domain simulations. The latest developments in LMS Imagine.Lab make it a solid choice for model-based systems engineering. 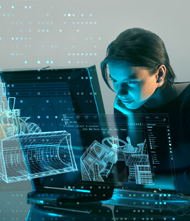 Geared toward mechatronic simulation, the LMS Imagine.Lab platform offers you an open development approach starting from functional requirements to physical modeling and simulation. 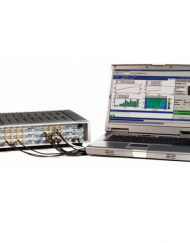 LMS Amesim allows test frontloading, which saves time and costs. 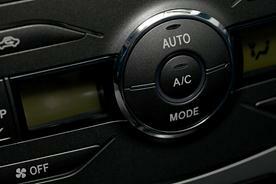 The solution also addresses multiple challenges of smart systems engineering. 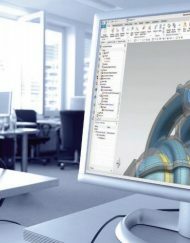 Combining the best of mechatronic systems simulation and application expertise, this integrated simulation platform aids companies in making the right choices earlier in the design process and provides higher quality results in a shorter time. LMS Imagine.Lab Sysdm solution manages system data originating from LMS Imagine.Lab Amesim and other system simulation tools, which provides a collaborative environment for model-based systems engineering data. LMS Sysdm is the repository system where you can create an organizational model for system simulation data and facilitate classification, query and retrieval according to relevant engineer schemas. 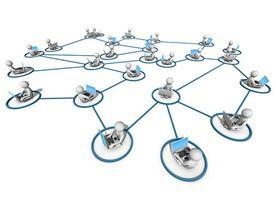 Role-based access control supports the implementation of various collaboration workflows. Overall, LMS Sysdm is a cornerstone to knowledge capitalization for a development organization’s application of model-based system engineering. In the context of increased use of simulation throughout the development cycle, it has become critical to facilitate the modeling process. 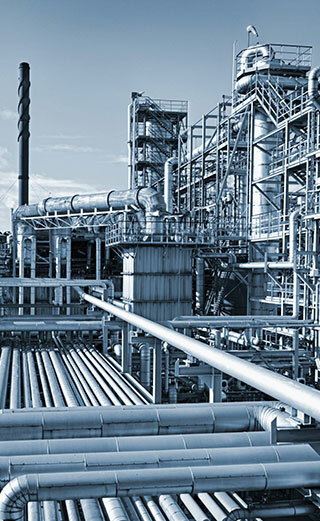 LMS Imagine.Lab System Synthesis helps companies streamline simulation-driven systems engineering. It enables physical plant and controls engineers to collaborate efficiently by providing them with a common language based on interfaces and therefore making system integration easier. 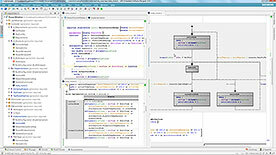 LMS System Synthesis facilitates the creation of complex cosimulated models. As a result, numerical errors can be avoided and the design cycle and costs are greatly reduced. Moreover, LMS System Synthesis allows engineers to reduce model design effort thanks to traceability and reusability of simulation models for different types of analyses such as requirements analysis or “what if” analysis. Turning products into software-intensive systems puts pressure on methods, processes and tools for on-board software development. Variability, customization demands, processing signals and information and more complexity while better quality require going beyond the current state-of-the-art control software engineering tool-chains and processes. LMS™ Imagine.Lab™ Embedded Software Designer is an integrated development environment (IDE) for efficient model-based test-driven development of on-board software. Application domains are such as massively customized software-intensive and cyber-physical systems including smart vehicles, home appliances or buildings, families of smart adaptive utilities, transportation and tourism services based on continuous analysis of IoT generated data. Extensible and customizable Domain Specific Languages (DSLs) powered by the open-source mbeddr enable users to design, architect, implement and verify an integral embedded software system. It thus always stays synchronized, while being capable of presenting the most appropriate perspective with the right level of detail for the job on hand. LMS Imagine.Lab remedies the problem of integrating green engineering into your current development process while continuing to improve car drivability and performance. 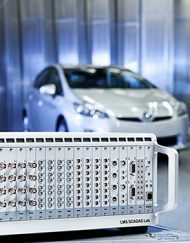 These vehicle solutions integrate into the existing vehicle development process and combine mechanical, thermal, electrical and control engineering in one software environment. The transmission systems solutions give you access to robust and effective modeling of nonlinear phenomena found in all transmission, electric or hydraulic actuators; dry or wet clutches; dampers; dual mass flywheel; universal joints; and gears backlash. 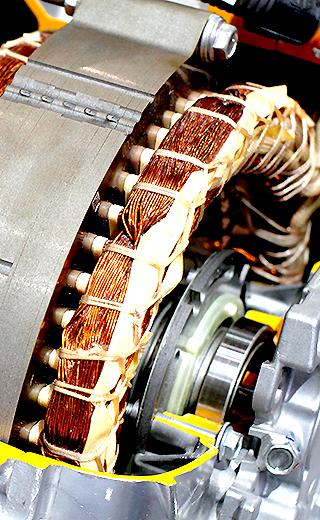 You can significantly reduce the development time of powertrain systems and controls from months to weeks and facilitate the maintainability of models which increases product life while cutting systems development costs. The constant evolution of application libraries ensures you have access to applicable models in an ever-changing industrial world. 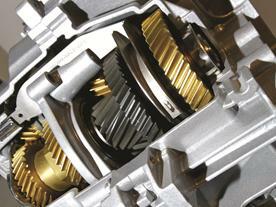 The Powertrain Transmission solutions are used by OEMs who integrate subsystems as well as suppliers who design subsystems and components. This unique simulation solution can also be used by plant design and control design departments. LMS Imagine.Lab Internal Combustion Engine simulation solutions help you evaluate, design and optimize comprehensive engine systems – from air management, combustion and after-treatment to fuel injection and engine control – by providing accurate physical engine models and components. Internal Combustion Engine solutions are developed in close collaboration with IFP Energies nouvelles and offer a cutting-edge, flexible environment for designing and optimizing virtual engine and automotive subsystem concepts. Now you can study integration with fuel injection subsystems, vehicle thermal management, powertrain and various other components as well as adapt model definitions to a wide range of scenarios. This engine solution enables you to analyze the impact of advanced technology choices and gives you a powerful tool set to investigate alternative engine architectures. 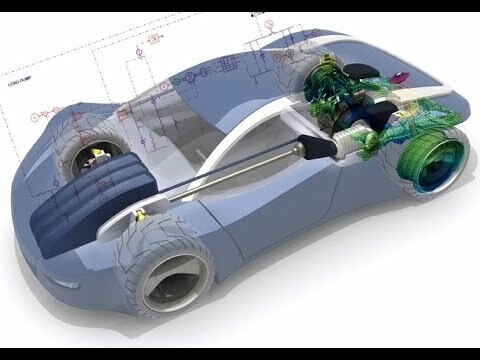 The LMS Imagine.Lab Vehicle System Dynamics suite of simulation solutions offer application oriented environments and dedicated capabilities to specify, design and validate the full vehicle as well as the chassis subsystem components (such as brakes, suspension, steering and anti-roll system). The solutions allow easy and seamless integration in a single system. 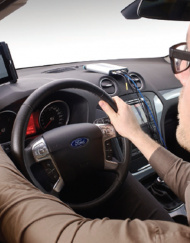 Vehicle System Dynamics solutions present a unique open integration platform to model and simulate cars and light trucks with their actuators in a straightforward and continuous integration process – from model-in-the-loop and software-in-the-loop to hardware-in-the-loop. 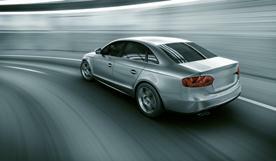 The vehicle dynamics simulation solutions include an extensive vehicle dynamics application, physical modeling libraries (such as hydraulic, pneumatic, electrical and mechanical), ready-to-use templates, solution demonstrators and interfaces with simulation suites such as LMS Virtual.Lab Motion, MSC® Adams™ and Simulink®. 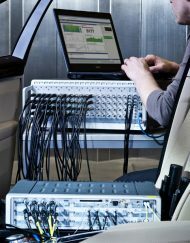 The LMS Imagine.Lab Vehicle Thermal Management simulation solutions provide dedicated tools to build and analyze complete thermal management models in a single environment. The solutions let users model, size and analyze components, subsystems, subsystem interaction and run steady-state and real transient multi-domain simulations. The thermal systems solutions give engineers the opportunity to work on detailed models of vehicle thermal management subsystems such as cooling, lubrication, thermal engines, air conditioning and in-cabin systems. 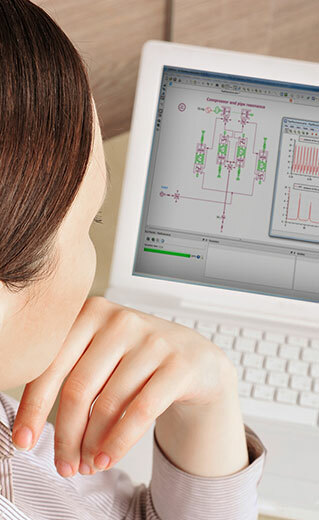 LMS Imagine.Lab Electrical Systems simulation solutions suite helps you define straightforward strategies of electrical or electromechanical systems throughout the design process. 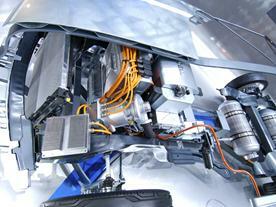 Mechatronic system engineering is a key development concern due to the increased use of electrical and electronic systems in automotive and ground vehicles. The Electrical Systems simulation solutions help you simulate electrical and electromechanical systems and components including batteries, linear actuators and electric motors – from specification to design and control strategy validation. 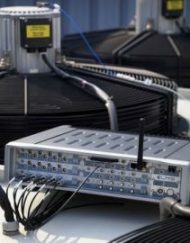 Furthermore, the solution suite supports different analysis levels of electrical and electromechanical systems such as power consumption estimation, accurate transient response evaluation and thermal effects. The LMS Imagine.Lab Landing Gear simulation solution assesses the entire landing gear system including performance analysis for required functionalities: landing, extension and retraction, braking and steering systems. The solution supports the multi-domain nature of landing gear system design (such as hydraulics, electrics and thermal) and considers system structure and actuator integration. 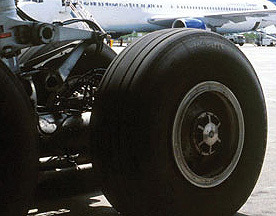 The Landing Gear system solution helps you with challenges posed by physical tests and maintenance cost reduction, sophisticated technologies and materials, and safety and certification requirements. For landing gear system and suspension, the solution provides an environment for multi-level modeling and simulation. With multibody dynamics integration, structural dynamics and optimization, this solution allows you to assess the full aircraft ground load analysis earlier in the design process to reduce risks and uncover problems. You can develop validated, real-time prototypes from high fidelity simulation models using a single platform and run fewer physical drop tests. For anti-skid systems, the Landing Gear simulation solution helps you design and validate the braking system function with a combination of electrical, mechanical, hydraulic and control equipment for component modeling (such as pumps and electrohydraulic valves). Using a complete platform, you can study steel, carbon and ceramic brake technology as well as hydraulic and electric actuation. Ensuring a good balance of performance and risk accelerates and enhances the design and validation of these systems. The Landing Gear simulation solution also helps you design and validate the steering system function with a combination of electrical, mechanical, hydraulic and control equipment. You can design single components (such as servo-controls and actuators), validate component integration and design and validate control strategies. 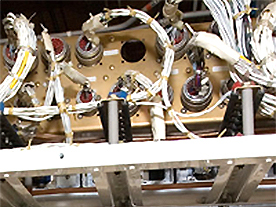 The LMS Imagine.Lab Flight Control simulation solution supports the design and optimization of high-lift device actuation systems for aircraft by using an unparalleled multi-domain system simulation approach. The solution easily manages various combinations of hydraulics, 2D mechanics and electrics in a unique modeling environment. 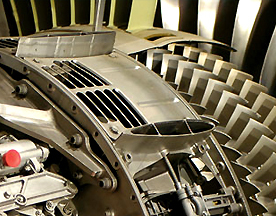 As high-lift device actuation systems become more and more complex, the LMS Imagine.Lab Amesim multi-domain approach is essential to understanding the interactions between diverse domains including electrical (elevators, ailerons, roll spoilers, tail plane trim, slats and flaps, speed brakes/lift dumpers and trims), mechanical (rudders and tailplane trim) and hydraulic control systems. Moreover, the Flight Control solution makes it possible to manage the development of various high-lift device actuation systems (mechanical, direct drive, electromechanical and electrohydrostatic) by integrating them into different computer-aided engineering (CAE) attribute analyses, such as flexible multibody and stress analysis, as well as fatigue damage prediction. The unique component design libraries (hydraulic, thermal hydraulic and pneumatic), in combination with mechanical and electromechanical libraries, allow you to create detailed models in order to design highly dynamic components such as nozzle flapper flow control servo valves, pressures valves and any kind of piloted fluid component. With the Flight Control simulation solution, you can explore various technological solutions (electrical, mechanical and hydraulic) and assess their functional performance attributes (multibody, stress and durability) in a common environment. The solution supports the system validation process and explores the flexible bodies and mechanisms of the complete system through its co-simulation capabilities with most common mechanical finite element analysis (FEA) software. The LMS Imagine.Lab Aerospace Engine Equipment simulation solution supports the design and engineering of aircraft engine components and systems including fuel systems, starters, bleed systems and their controls, as well as engine control actuators. The solution helps you design market specific, pressure-feed fluid systems in aircraft engines as well as reliable thermal hydraulic systems. The Aerospace Engine Equipment simulation solution is based on the LMS Imagine.Lab Amesim multi-domain system simulation approach. 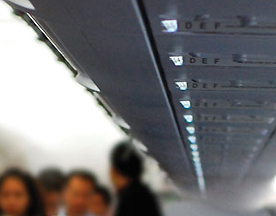 It provides dedicated thermal and hydraulics libraries with configurable components that are, once connected together, representative of the hydraulic behavior of the aircraft equipment. The detailed models are based on experimental results of well-known geometries and are suitable to any new geometry or functional requirement. Straightforward coupling between libraries and components allows you to easily run behavior analyses and tests on simple components, as well as on fully integrated fuel systems, at any project step. 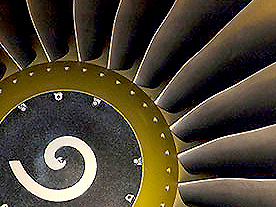 The aerospace fluids database of standard and customizable components is based on experimental results and ensures the necessary accuracy and validity of models required in aircraft engine design. The Aerospace Engine Equipment simulation solution helps you improve design quality, while reducing design time as well as the number of experimental tests needed and associated risks. The Environmental Control Systems simulation solution supports the design of the various systems involved in aircraft environmental control: bleed system control, overall energy management, air conditioning, air distribution, oxygen control and cabin pressure. The solution allows you to easily design complex systems and takes into account multiple parameters (temperature, humidity, pressure and change of pressure rate) in dynamic conditions (temperature and pressure variations). You can design aircraft environmental systems with higher efficiency, lower weight and lower volume and significantly optimize energy consumption. The LMS Imagine.Lab Aircraft Engine simulation solution for jet engine design and simulation allows you to define the exact boundary conditions for aircraft systems such as electrical power generation, bleed systems, fuel systems as well as flight dynamics. You can assess the dynamic behavior of any kind of jet engine and get an initial evaluation of the performance of the engine. Having access to more realistic boundary conditions for every onboard power network, you will be able to easily assess the overall efficiency of the integrated aircraft in various conditions. Impact of aircraft mission requirements in terms of thrust and available power – and therefore fuel consumption – can be assessed by accounting for the complete aircraft systems and mission. 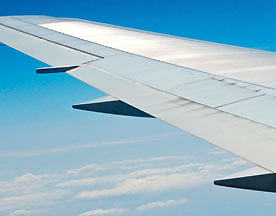 The LMS Imagine.Lab Aircraft Fuel Systems simulation solution helps you design complete aerospace fuel systems including elements such as pressure, temperature, flow transfer and ullage composition tracking. 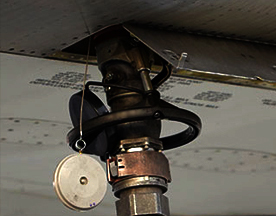 Application areas include the thermal integration of the aircraft fuel system. An energy balance approach to modeling ensures that you can analyze the electrical systems and their components in complex networks, as well as account for the thermal integration within the complete aircraft from the very beginning of the design process. The Electrical Aircraft simulation solution helps you design safer, more reliable actuators such as steering and braking systems, and enables you to better analyze the impact of network reconfiguration in case of failure. 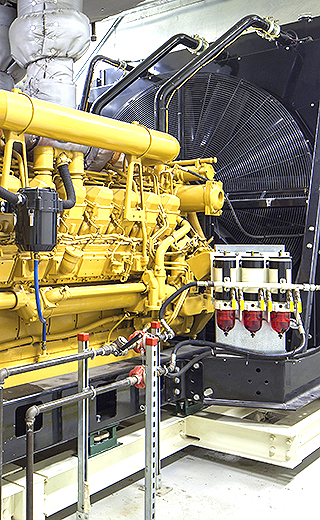 With its Simulink® co-simulation capability, you can also integrate generator controls and ensure proper and efficient energy transmission to the network. 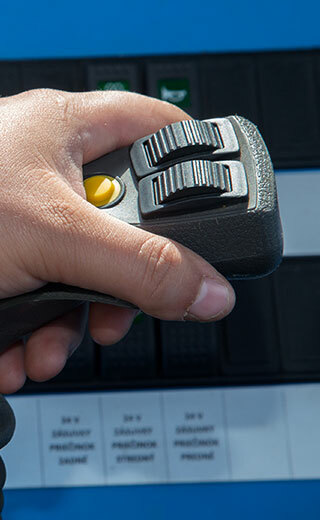 Postprocessing tools (such as the fast Fourier transform and linear analysis) allow you to validate aircraft electrical systems long before the first flight to ensure that certification tests will be successful. The LMS Imagine.Lab hydraulic simulation solution helps you efficiently develop new hydraulic systems design concepts. A very large collection of hydraulic components (pumps, valves and actuators) and piping parts (pipes and fittings) allows you to discover the right answers for the optimal development of complex hydraulic systems. The hydraulic system simulation solution offers also a powerful and unique tool containing the basic building blocks of any hydromechanical system. This library can be viewed as an engineering language to model any hydraulic components. The models are component based so the interpretation of the model layout is straightforward and intuitive. The hydraulic system simulation solution is also dedicated to the analysis of the evolution of pressure drops and flow rates in hydraulic networks. Evaluating pressure drops and the distribution of flow rates through a circuit and modifying the hydraulics systems design is very easy and intuitive. Hydraulic simulation models are numerically stiff, extremely nonlinear and often modeled with discontinuities. The LMS Imagine.Lab Amesim solver automatically and dynamically selects the most adapted integration method based on the particular system dynamics better than any other simulation software on the market. 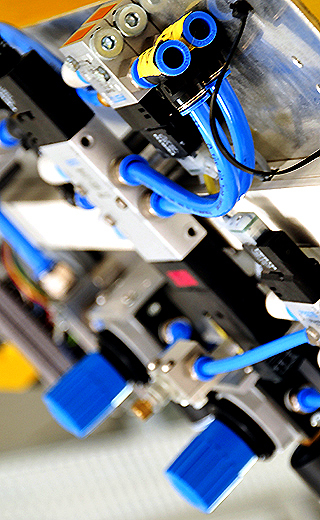 The LMS Imagine.Lab Pneumatic System simulation solution is dedicated to the design of pneumatic systems, networks and components, including thermal exchanges. This solution helps you to develop new design concepts efficiently. With a very large collection of pneumatic components (such as compressors, valves and actuators) and CFD1D piping, the pneumatic system simulation solution allows you to discover the right answers for the optimal development of complex systems. 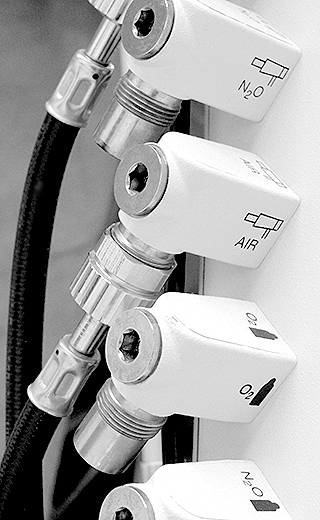 The pneumatic system simulation solution offers a powerful, unique tool containing the basic building blocks of any pneumatic component and system. You can view this library as an engineering language to model pneumatic components such as cylinders, compressors, oxygen regulators, dampers, LPG injectors or any kind of pneumatic valve. Since these are component-based models, interpretation of the model layout is straightforward and intuitive. The pneumatic system simulation solution includes a set of components which allow you to easily model and analyze the evolution of temperatures, pressures and mass flow rates in pneumatic networks. Based on a transient heat transfer approach, you can use the solution to model thermal phenomena in gases and study thermal evolution in these gases when they are exposed to different heat sources. Model of pneumatic systems are numerically stiff, extremely nonlinear and often modeled with discontinuities. The LMS Imagine.Lab Amesim solver automatically and dynamically selects the most adapted integration method based on the particular system dynamics better than any other simulation software on the market. 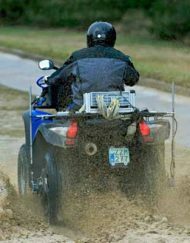 The moist air models complete the solution; you can account for the condensation phenomenon with the associated interactions between the condensate and gas mixture. 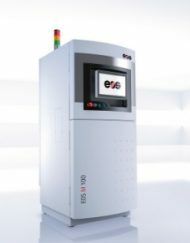 The LMS Imagine.Lab Thermal-Hydraulic simulation solution is dedicated to the design of hydraulic systems and networks. 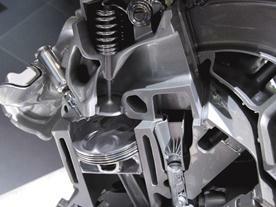 This solution helps you to efficiently develop new hydraulic design concepts. 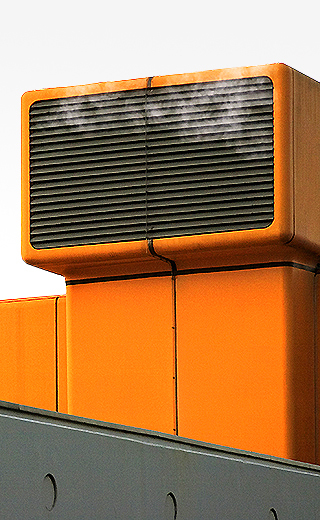 Due to a very large collection of thermal-hydraulic components (such as pumps, valves, actuators and heat exchangers), you can find out the right answers for the optimal development of complex systems. This thermal-hydraulic simulation solution is also dedicated to the analysis of the evolution of pressure drops, flow rates, temperatures and heat exchanges in hydraulic networks. 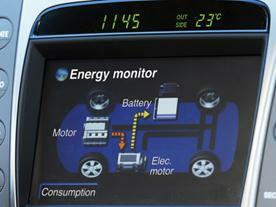 Evaluating performance and modifying the system design is very easy and intuitive. Composed of models of varying complexity levels, this thermo-hydraulic system solution includes isothermal and transient heat transfer approaches – used to model thermal phenomena in liquids (such as energy transport and convection) and study the thermal evolution of these liquids in hydraulic systems. Hydraulic system models are numerically stiff, extremely nonlinear and often modeled with discontinuities. The LMS Imagine.Lab Amesim solver automatically and dynamically selects the most adapted integration method based on particular system dynamics better than any other simulation software on the market. The two-phase flow simulation solution is based on a basic element approach so you can model a maximum of two-phase flow network configurations from a minimum set of components. The two-phase flow simulation solution allows you to model real transient behavior with compressor stopped conditions and realistic thermodynamic behavior. A complete modeling methodology helps you build and adapt for stop and start applications. 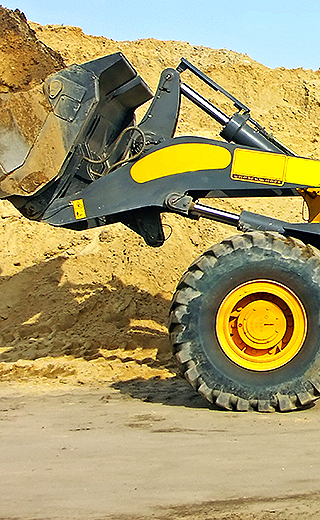 The LMS Imagine.Lab Mobile Hydraulic Actuation System simulation solution helps design robust, reliable fluid power actuation systems for crane, crawler, earthmoving and mining equipment, machine tools and more. The hydraulics solution delivers the required insights to reduce power generation (such as variable displacement pumps and load sensing), develop new functions (such as self-leveling and control strategies) and improve product quality, robustness and reliability. The dynamic behavior of fluid power systems is difficult to predict because you need to consider every subsystem. For prototyping early in the development cycle, it is efficient to use a single simulation environment for integrating different modules. This results in enhanced compatibility, reduced implementation time, user-friendliness of the interface and no programming effort. LMS Imagine.Lab Amesim helps the visualization of mobile hydraulics with a 3D visualization tool which seamlessly imports your CAD data, automatically generates a CAD view from your LMS Amesim model and animates simulation results. The LMS Imagine.Lab Thermofluid System simulation solution is dedicated to the design of thermofluids networks and systems. This thermofluid system simulation solution helps you to develop new design concepts efficiently for a wide range of applications. The thermofluid system simulation solution is based on the LMS Imagine.Lab Amesim multi-domain system simulation approach and comes with a dedicated set of tools and fluid libraries handling multidisciplinary systems for advanced design: liquid and gas dynamics, gas mixture with variable composition, thermal pneumatics, two-phase flow, air conditioning and cooling systems. You can further analyze steady-state and/or transient behavior of complex thermofluids networks and systems by investigating pressures and temperatures distribution, flow balancing and heat transfer management. 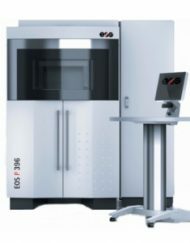 This thermofluid solution allows you to easily improve existing architectures, evaluate potential architectures and develop innovative design concepts. The LMS Imagine.Lab Electromechanical Components simulation solution helps simulate mechatronic systems for the specification of components, the interaction with their mechanical structure and the design and validation of control strategies. Electromechanical and electrofluid component designers access an integrated platform to simulate the overall system response and consider a combination of electrical, magnetic, mechanical, thermal and fluid phenomena which are accurately described within the LMS Imagine.Lab Amesim components. The LMS Amesim multi-domain platform includes a set of specific libraries of thermo-electric and magnetic models that help model electromechanical actuators such as solenoid valves, torque motors and piezoelectric actuators. The electromechanical components simulation solution integrates two complementary approaches: magnetic circuit descriptions using simple elements (such as reluctances and air gaps) and finite element method (FEM) tables. 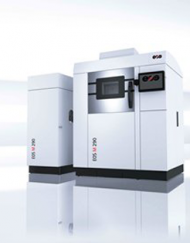 Strong integration capabilities between electric, magnetic and mechanical models enable you to specify and size components as well as optimize dynamic behaviors. With the electromechanical components simulation solution, you can design multi-domain systems and subsystems and evaluate their behavior. Additionally, the short computation times of the platform lead to faster analysis and refined optimization. 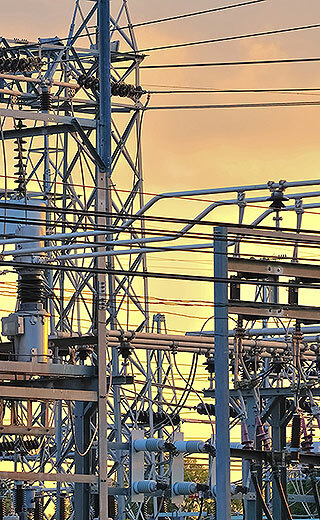 The LMS Imagine.Lab Electrical System simulation solution focuses on electrical power networks and components as well as global electrical power distribution. This electrical system solution can simulate the interaction of the electrical network with a large diversity of electricity consumers – from electrical components to complex subsystems with mechanical, fluid and thermal aspects. Based on the LMS Imagine.Lab Amesim multi-domain system simulation approach, the electrical systems simulation solution brings a comprehensive set of electrical behavioral models for you to evaluate new architectures (such as sizing of power generation, storage elements and loads), analyze power consumption, and design and validate control laws for electrical machines. 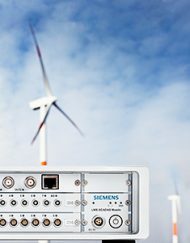 From its advanced features, the electrical system simulation solution significantly helps you optimize dynamic performances, check controls, minimize energy consumption and study the impact on the electrical environment (such as voltage drops and current peaks).